The Seven Hills of Rome mark the traditional boundaries of the city. It was on these seven hills – Aventine, Caelian, Capitoline, Esquiline, Palatine, Quirinal, and Viminal – that the first settlements of Rome began and these seven hills were the ones protected within the Servian Walls. The foundations, gates, and ruins of these 4th century-BC walls can still be seen in some parts of the city. Subsequent builds of fortifications in Rome, such as the Aurelian Walls (3rd century AD) and the Leonine City (9th century AD) included other hills (Janiculum, Vatican, Pincian), but the original Seven Hills are the ones in bold above and included within the red border in the map to the right. Now that you’ve had a short history lesson, you may be wondering what you can see today on Rome’s Seven Hills. Rather than tell you, I thought I would use the power of Google’s Street View to show you. Aventine Hill – This is the place to see the famous view of “St. Peter’s through the keyhole” at the Knights of Malta headquarters. More on the Aventine Hill.Caelian Hill – The Baths of Caracalla are one of the highlights of the Caelian (pronounced “Chellian”) Hill, which is largely a wealthy residential area. The Villa Cellimontana (Caelian Mountain Villa), is a 16th century villa and gardens that many Romans frequent in warmer weather for its nature and tranquility. The villa grounds also serve as the site for an annual jazz festival.Capitoline Hill – The Capitoline Museums and the seat of the Roman government live here. On the higher ridge of the hill stands the church of Santa Maria in Aracoeli.Esquiline Hill – The Esquiline Hill was where Nero built his “Golden House” (Domus Aurea). Today, much of the Esquiline is crowded with shops and apartment blocks. And, oh hey, on the southwestern spur of the Esquiline is the Colle Oppio (the smaller Oppian Hill) where you can admire the Colosseum.Palatine Hill – The Palatine, where Romulus and Remus were supposedly born, is the original hill of all of Rome’s hills. Rome’s main archeological area is here.Quirinal Hill – The Quirinal Palace, where the President of Italy resides, is the main landmark of this hill. Though, winding staircases and alleys from the pinnacle lead down to the Trevi Fountain [directions].Viminal Hill – The smallest of Rome’s Seven Hills is the site of the Baths of Diocletian, now part of the National Roman Museum. It’s all a short walk from Termini, Rome’s main train station. #Live #muziek voor uw #evenement boekt u via #Italian #Entertainment And More. 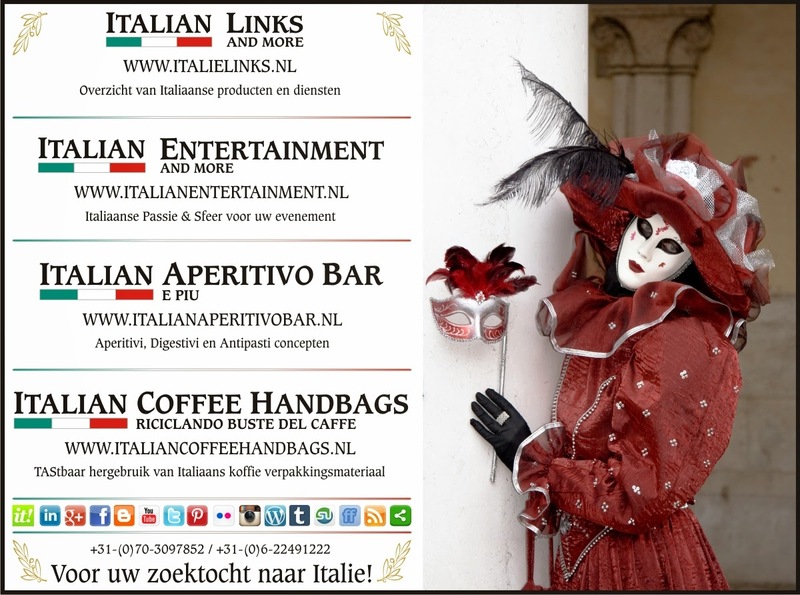 Bezoek de website www.italianentertainment.nl en vraag om een #vrijblijvend #voorstel. Denk ook eens aan #Italiaanse #Foodtrucks tijdens uw #personeelsfeest, #relatiedag, #opening, #bedrijfs #jubileum of #evenement want wij bieden meer dan #unieke #mobiele #catering #concepten. Kijk snel op www.italianfoodtrucks.nl ter #inspiratie en #boekingen. Paul gaat de boer op ! Passionate about Travel, Food, Wine, Art and Architecture. Paul's zoektocht naar authentiek mediterrane producten en hun verhaal.